One of our sky watching team has today again come up trumps after spotting an amazing UFO high over his garden in Sidcup, S.E. London. 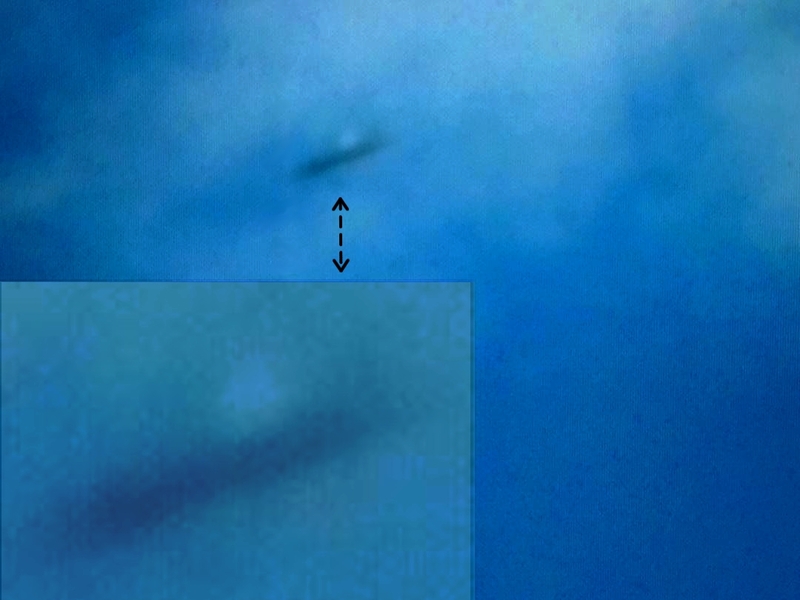 Quality not great, but it was a tricky capture as the object was at quite an altitude; I first saw the craft arrive as a blur; it stopped in the cloud & then suddenly zoomed off to the right. Any viewer here who is well-versed in UFOlogy will immediately recognize the classic nature of this object, such as its precise angle of tilt. There were other shots taken in a sequence, some of which will be added to this page at a later date, but these still need to be sorted through.